When your major home appliance breaks down, it is often a trying time to decide whom to call for service. You've seen the tabloid TV shows that have caught service technicians ripping off consumers. Your best defence is to become an informed consumer. Price shouldn't be the only consideration when requesting service. This service section will tell you what options are available to try to help you decide what route to should take. Our extensive 'Helpful Tips' section may help you avoid expensive repairs or even the need for service altogether. 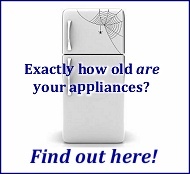 The 'Appliance Myths' section will help to dispel some of the myths your friends and family have told you about appliances, that are simply not true and may lead to unnecessary repairs. If you've simply forgotten how to operate your appliance and you've misplaced the user manual or instructions, our 'Owner Manuals' section will point you to resources to order or download a replacement. If you're the hands-on type and want to attempt to repair your appliance yourself, the service manuals listed in the 'Repair Manuals' section are the best resource you could ask for. Along with the tips and links in our Appliance411 Repair Parts section, you should be well on your way to repairing your major home appliance yourself.